How to encrypt and decrypt files using Rijndael. This is a sample application that will encrypt and decrypt files in VB.NET using Rijndael Managed. I started this project because I had several files on my computer that I didn’t want accessible to anyone but me. Sure I could have downloaded a free encryption program off the net, but what fun would that be? So being the hobbyist that I am, I decided to create my own. Here are some brief descriptions of the cryptographic concepts relevant to this application. I am going to keep things as simple and basic as possible. If you want further details there is a ton of information on the web. Also check out “.NET Encryption Simplified” by: wumpus1 right here at Code Project. These descriptions are based on how the concepts are used in this application. The password used to encrypt/decrypt data. Initialization Vector. This is used to encrypt the first portion of the data to be encrypted. The algorithm used for encryption/decryption. In this application, Rijndael is using a 256 bit key and a 128 bit IV. This takes a string (the password) and transforms it into a fixed size (512 bits) of “encrypted data”. The same string will always “hash” into the same 512 bits of data. The function receives a string (the password). Converts the string to an array. Converts the array to a byte. Uses SHA512 to hash the byte. Stores the first 256 bits of the hashed byte into a new byte (the key). 'Convert strPassword to an array and store in chrData. 'Use intLength to get strPassword size. 'Declare bytDataToHash and make it the same size as chrData. 'Use For Next to convert and store chrData into bytDataToHash. 'Declare what hash to use. 'Declare bytResult, Hash bytDataToHash and store it in bytResult. 'Declare bytKey(31). It will hold 256 bits. 'of 512 bits into bytKey. Return bytKey 'Return the key. OK, so we used the first 256 bits of our hashed byte to create the key. We will use the next 128 bits of our hashed byte to create our IV. This way the key will be different from the IV. This function is almost identical to the previous one. 'Declare bytIV(15). It will hold 128 bits. 'Use For Next to put a specific size (128 bits) of bytResult into bytIV. 'The 0 To 30 for bytKey used the first 256 bits of the hashed password. 'The 32 To 47 will put the next 128 bits into bytIV. Return bytIV 'Return the IV. Define the enumeration for CryptoAction (encrypt/decrypt). Begin with an encrypted/unencrypted file. Use a FileStream object to open and read the file. Use a CryptoStream object to perform encryption/decryption. Use another FileStream object to write the encrypted/decrypted file. 'Define the enumeration for CryptoAction. Try 'In case of errors. 'Setup file streams to handle input and output. 'Declare variables for encrypt/decrypt process. 'Determine if ecryption or decryption and setup CryptoStream. 'Use While to loop until all of the file is processed. 'Read file with the input filestream. 'Write output file with the cryptostream. Basically, what we are doing here is taking the path name of the file to encrypt/decrypt and adding or removing an “.encrypt” extension. This is not really necessary for encrypting files, but I think it looks cool. OpenFileDialog.Title = "Choose a file to encrypt"
OpenFileDialog.Filter = "All Files (*. *) | *. *"
'Find out if the user chose a file. 'Get the position of the last "\" in the OpenFileDialog.FileName path. '-1 is when the character your searching for is not there. 'IndexOf searches from left to right. 'Assign strOutputFile to the position after the last "\" in the path. 'This position is the beginning of the file name. 'Assign S the entire path, ending at the last "\". 'Replace the "." in the file extension with "_". txtDestinationEncrypt.Text = S + strOutputEncrypt + ".encrypt"
OpenFileDialog.Title = "Choose a file to decrypt"
OpenFileDialog.Filter = "Encrypted Files (*.encrypt) | *.encrypt"
Keep in mind that the above code is geared towards my sample application. Variables are declared for the Key and IV. The user’s password is passed to the CreateKey function. The user’s password is passed to the CreateIV function. The input path name, output path name, Key, IV, and CryptoAction are passed to the EncryptOrDecryptFile procedure. 'Declare variables for the key and iv. 'The key needs to hold 256 bits and the iv 128 bits. 'Send the password to the CreateKey function. 'Send the password to the CreateIV function. This application uses the Rijndael algorithm to encrypt and decrypt files. You could also use Data Encryption Standard (DES) or Triple DES to do the same. All you would need to change is the Key size, IV size and the Crypto Service Provider. I hope that you can have some fun with this code. Questions and comments are appreciated. October 31, 2005: File size issue fixed, thanks to Moonark. November 1, 2005: Alternate examples of CreateKey/IV added, thanks to Vlad Tepes. November 4, 2005: Array issue fixed, thanks to ccady. 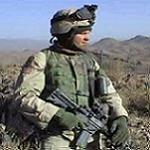 I was introduced to VB.Net while serving in the U.S. Army Infantry. Since then I enjoy writing small applications in my spare time. The use of PasswordDeriveBytes is obsolete. What type of encryption of this? It is aes 256bit key? how to make the code work while using user login and password, but also RFID enabled authentication? Storing encrypt and decrypt file on RFID and RFID tag? Dear Sir, i have to submit this project in my college so can you please help me out with the source and synopsis of the project? Also i want to do edit in form of the application but i am unable to do so? richly bless you. It is very good Project. Please with your article " How To Use Rijndael to Encrypt Any File Easily"
similar using java please. Thank You . richly bless you. It is very good. which coded in c#, it is very excellent work. similar code in java please. Thank You. Try using Rfc2898DeriveBytes to generate the key and IV, it's far simpler than what you are doing right now and much better practice. i want to encrypt a file in a folder automatically as soon as i paste the file into that folder. i'll be very greatful to you if you could help me out . thanks your code is wrking, i have created digital library and encrypted all files, if user open a file how do i open without decrypting the physical file? This works. There are several others floating around on the Internet but they do not work or are only partially explained. really it works..u made my work very simpler..
Rijndael cryptography to secure a text message or a text?? want to ask, if there is no text to the security algorithm Rijndael 256-bit key? I think this project is very useful, especially in terms of keeping information secure. I've used it in projects already, and it's done its job. I was wondering if you could help me with encrypting large files! I tried it with this with a file of 1.5GB and it froze on me.